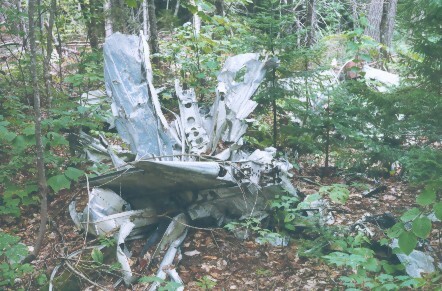 This aircraft (in the above photo, tail code BC*G) and pilot disappeared on a cross country ferry flight between Quebec City and Dartmouth Nova Scotia. 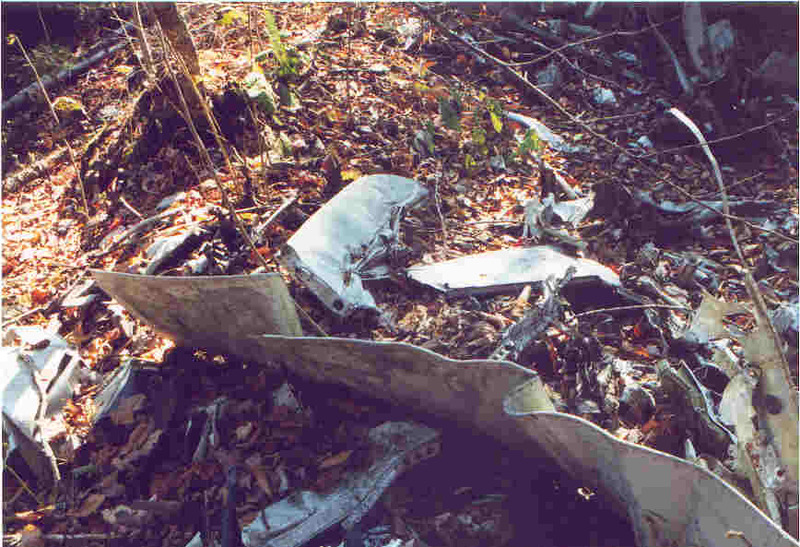 The wreckage was not discovered until nearly 18 years later. For the complete story, and more photos, check out the KATAHDINGATEWAY SEA FURY web site. 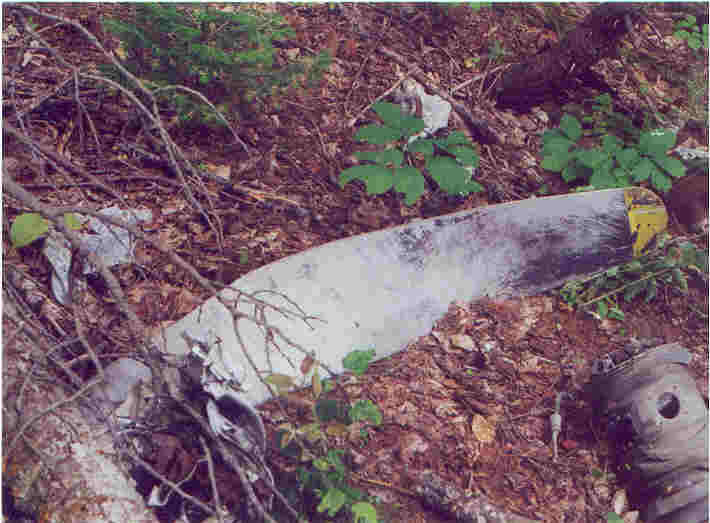 Tail section near crater. The rudder, with missing trim tab, is the only portion readily identifiable in this photo. Propeller hub with two blades at the bottom of the 15' round impact crater. A view of the crater bottom. 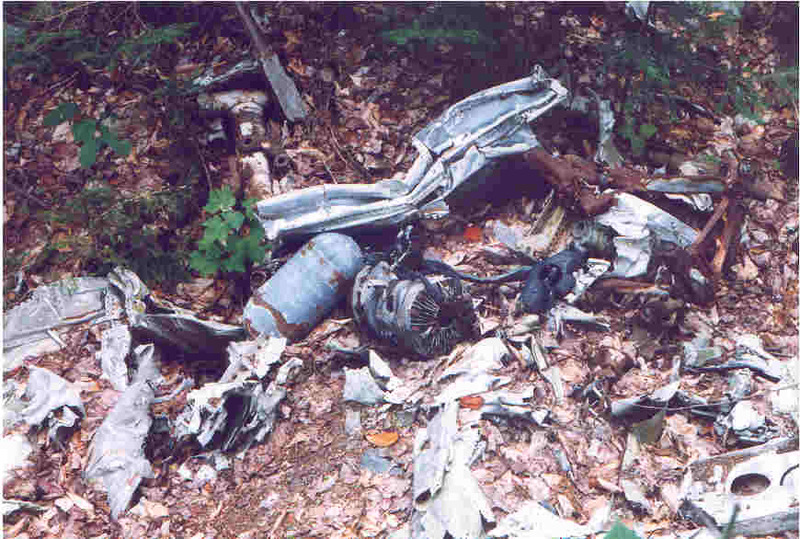 An engine cylinder, oxygen bottle, main gear oleo, tail hook, and tail wheel strut are all visible. 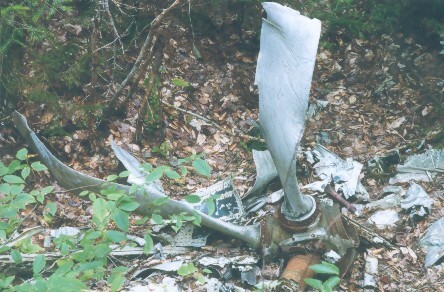 A prop blade and engine cylinder near the final resting place of the engine 50' from the crater. 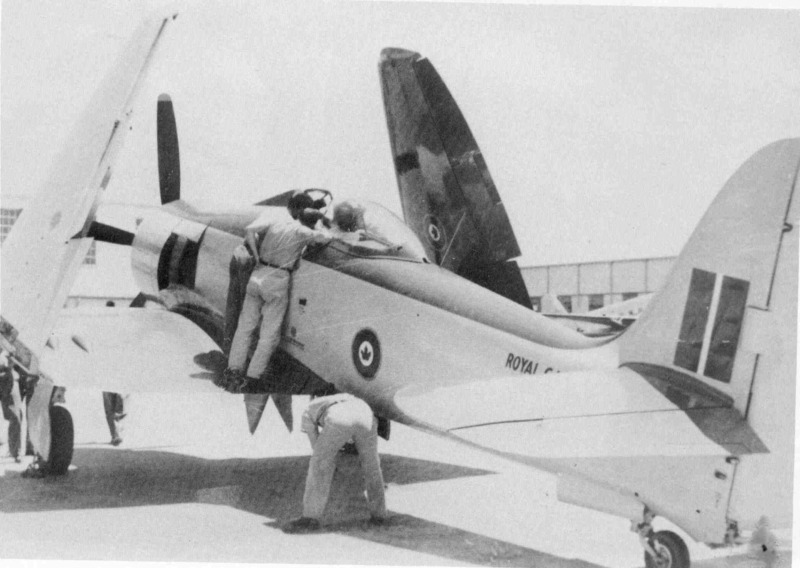 The port wing was sheared off by a tree just before impact. it is scattered in pieces for 50 yards. A section of the starboard wing driven into the ground beside the crater by the force of the impact. This DND Canada photo of TF 997 was taken at A.V. Roe LTD in Toronto after its rebuild, just a few weeks before it disappeared. 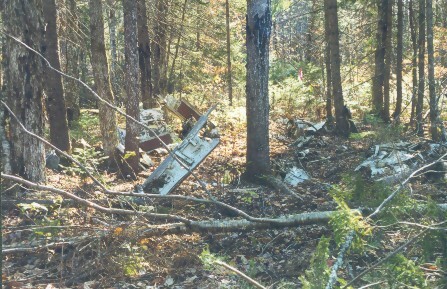 The aircraft was damaged severely almost a year to the day before it disappeared, when a main landing gear buckled during an emergency landing in Ontario.